2015 September « THE BRYCE IS RIGHT! – Do young people know the difference between the two? I wore a suit and tie for the occasion to express my credibility and out of respect for my audience, even though none were older than eighteen years of age. This was going to be an unusual talk for me as I normally address adults, not youth. Because of this, I wanted to know a little about my audience. So, using a show of hands, I inquired where the students were from, such as their high schools, but I also flippantly asked how many were capitalists and, conversely, if there were any socialists present. I received a lot of blank stares on both accounts. This caused me to deviate from my planned program and deliver a mini-dissertation describing the differences. I contended in order to be successful in business, the students would be wise to know what each meant. Interestingly, some were brainwashed into believing capitalism was evil and simply represented another form of greed. I contend greed is a human emotion, and can be equally applied under either system. Therefore, capitalism is not greed, it is a celebration of the individual’s right to try and succeed. Whereas capitalism focuses on the rights of the individual, socialism concentrates on the rights of the group overall. I explained, under capitalism the individual has the right to try his/her hand at anything they are so inclined, thereby representing freedom. They simply have the right to try, nothing more, nothing less. If they are lucky, they may succeed, but they also run the risk of failure. Failure is an inherent and important part of the system. There are no guarantees for success. This is why risk is important, to force the individual to work harder and smarter to avoid defeat. As such, capitalism encourages entrepreneurship (innovation and invention). If the person is successful, they are entitled to enjoy the fruits of their labor. If they are not, they must suffer defeat. This should force the person to redouble his/her efforts and try again which, of course, is evolution in action. To encourage entrepreneurship, our founding fathers took steps to safeguard the intellectual property of the individual. This specifically includes Article 1, Section 8 of the United States Constitution, wherein the powers of Congress are defined. It states, in part, “The Congress shall have Power … To promote the Progress of Science and useful Arts, by securing for limited Times to Authors and Inventors the exclusive Right to their respective Writings and Discoveries;”. This led to such institutions as the Patent and Copyright offices which were specifically designed to safeguard an individual’s intellectual property. As early as 1790, the first patent and copyright were approved. At the time, safeguarding intellectual property in this manner was rare to the rest of the world. By promoting the entrepreneurial rights of the individual, our forefathers were embracing capitalism. As mentioned, the focus in Socialism in on the group, not the individual. Here, the rights of the many take priority over the individual. Because of this, personal initiative is discouraged and the individual cannot endeavor to do better than the next person, and failure is prohibited; the group will always bail you out. There is no notion of assuming risk and being held personally accountable for your actions. All compensation is equitable among workers with no rewards for outstanding achievement or penalties for inferior workmanship. Intellectual property belongs to the group, not the individual. Consequently, this approach discourages entrepreneurship and tends to promote apathy. The Achilles’ heel of Socialism is the belief everyone is equal and, as such, should be treated and compensated on an equitable basis. On the surface, this sounds like a fair and noble notion. The assumption though is everyone works at the same level of effort and expertise which, of course, is simply not so. Restraining the individual from achieving higher levels of workmanship or striving for higher goals is unnatural and discourages the worker. Capitalism: The rights of the individual; the right to “try”; requires freedom. Socialism: The rights of the group; collective decision making; regulations restrain the individual. Capitalism: Yes, encourages risk; enjoys fruits of labor; individual assumes personal responsibility; promotes evolution. Socialism: No, discourages risk; individual cannot fail; encourages apathy, discourages change; unnatural. Capitalism: Yes, belongs to the individual. Socialism: No, property belongs to the group. Before closing my talk, I encouraged the students to become familiar with the works of author Ayn Rand, particularly “The Fountainhead” (1943) and “Atlas Shrugged” (1957). Rand’s work touted the need for individual achievement and capitalism, and saw them as two intertwined concepts. In business, we have to be mindful of encouraging individual achievement and teamwork equally. We realize our team is as good as its weakest player, hence the need to encourage workers to strive harder for perfection. However, there will always be those people who will rise above others and it certainly wouldn’t make sense to impede their growth. UPDATE: IS AMERICA A SOCIALIST STATE? 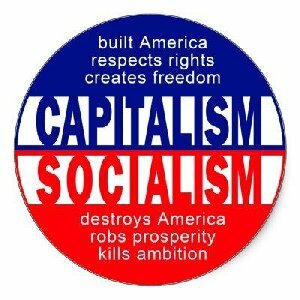 America may not have embraced Socialism as fervently as Cuba, China, North Korea, Viet Nam, or the old USSR, but make no mistake, America has been moving in a Socialist direction for quite some time. Whereas, the country used to embrace capitalism, and was repulsed by the very idea of socialism, now we are just as tolerant of it as marijuana. Young people today are more amenable to accepting it, probably because they were never taught what it was in school. Liberals market it as “equality for all,” while conservatives perceive it as repressive slavery. Seventy five years ago I would have described the country as 75% capitalist, and 25% socialist. Today, I believe it is just the opposite. Socialism has been in the country since the 1820’s, but was not widely embraced until the country was faced with the Great Depression and had to rethink its economic policies under Franklin D. Roosevelt. FDR’s social programs may have been noble in intent, but did not eradicate the problem. Only World War II brought America out of it. FDR’s legacy was continued by Kennedy, Johnson, Carter, Clinton, and now Obama. It is manifested by labor unions, welfare entitlements, economic bailouts, and handouts to friendly countries around the globe, some for humanitarian reasons, others as a bribe. Today, approximately one third of the country is on some federally subsidized program. This includes illegal immigration. Another one third is paying not only for their own family, but those on welfare as well. The socialist way of paying for entitlements is through heavy taxation, including personal, corporate, and foreign. The capitalist way is to reduce tax rates, stimulate the economy, and put more people to work. Socialism represents a redistribution of the wealth. When you hear politicians say, “free education,” “free health care,” and “free” everything else, without having a way to earn it yourself, that is the voice of slavery, not freedom. This explains why the federal debt is so high. So, Yes, I believe the country is at least 75% socialist and 25% capitalist. It also appears the Democratic Party has turned socialist. Even DNC Chairman, Cong. Debbie Wasserman Schultz, cannot discern the difference. Further, there is the distinct possibility the Democrats will elect Senator Bernie Sanders, an admitted Socialist, as their candidate for president. The only difference between Sanders, and the other Democratic candidates, is Sanders is honest about his position, the others are not. NEXT UP: WHEN HAVOC STRIKES – What to do when someone loses their cool at the office. LAST TIME: MANAGING COMPLEXITY – It’s really not difficult as long as we use a little common sense. – It’s really not difficult as long as we use a little common sense. In a recent Information Technology discussion group I am involved with, someone posed the question, “What is complexity?” I was surprised by the question as I thought it was understood what complexity was all about. Evidently not. The person posing the question was primarily concerned with complexity in system design, but I think it goes beyond systems, to all facets of business, be it related to products or services. Complexity deals with the number of variables a human can successfully juggle at one time. Each of us possess an intellectual capacity to multitask, but there are mental limitations for all of us. It is like a juggler who takes on one too many balls which forces him to drop the lot. Some people can juggle more objects than others, but we all have limitations. 1. The volume of components in a product or service. For example, the number of parts in a product, the number of information resources in a system or program, or the number of customers to serve, employees, or vendors. For example, in an information system there are approximately 2,000 components to manage, and approximately 100 in a single program, which is still significant. 2. The characteristics of each component has to be defined. For example, height, length, width, weight, color, etc. Different components, different types of characteristics, e.g. ; how we define the characteristics of a girder of steel is different than the characteristics of an employee, or a data element. 3. The number of relationships to other components. For example, how a wheel is related to an axle, how a worker is used on various projects, or how the data element, “Customer Number,” relates to records, files, programs and other system components. The problem is compounded when parts are standardized for use in multiple products, as General Motors did years ago in standardizing engine parts across their product line. Based on these three variables, the human being must manage hundreds, if not thousands of variables in a work assignment. In an average information system design, there are approximately 50,000 variables to manage, and for a single program, there are about 2,000 variables. Workers are selected for assignment, in part, based on the number of variables they can juggle at one time. The next obvious question becomes how to manage all of these variables. If we’re lucky, a person will use a reliable method of documentation to record them, such as blueprints in architecture and engineering, ledgers in accounting, or a “bill of materials” for a product. A bill of materials is a schematic depicting the parts in a product, how they relate to each other, and the characteristics of each component. 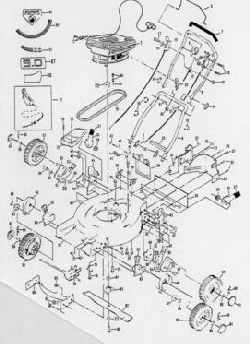 Anyone who has a product warranty book for home appliances or major garden tools can find such a schematic, it is a common and effective technique for managing complexity. This concept is so effective, it was used as the basis for developing the data dictionary and Data Base Management System (DBMS) as used in application development work. However, the discipline to share and reuse components in the systems world, as logical as it may sound, is still the exception as opposed to the rule. Consequently, it is common to find considerable redundancy in system and data components, e.g; data elements, records, files, programs, business processes, etc. Consider this, it is highly likely there are multiple interpretations of “Customer Number” in a single company, as is “Product Number,” “Part Number,” the calculation of “Total Sales,” etc. Such redundancy complicates system integration thereby adding to the complexity problem. The final problem is assembling the right parts to form the right products. This explains the rationale for such things as assembly lines and methodologies which define “Who” is to do “What,” “When,” “Where,” “Why” and “How” (the 5W’s + H). Such assembly lines/methodologies are devised by Industrial Engineers who are charged with assembling products in the most expeditious way possible. There is actually nothing magical in managing complexity. It is just a matter of admitting our limitations and embracing a standard approach for documenting components, their characteristics, and interrelationships. The biggest danger is when we try to manage all of the variables in our head which, unfortunately, is how many programmers work today. Unfortunately, this results in considerable redundancy, lack of system integration, thereby complicating complexity further. All that is needed is little common sense, a standardized approach to documenting components, and some discipline to make it all happen. NEXT UP: THE DISPARITY BETWEEN CAPITALISM AND SOCIALISM – Do young people know the difference between the two? LAST TIME: OUR PERMANENT RECORD – You can run, but you cannot hide from it. – You can run, but you cannot hide from it. One thing young people are not very cognizant of is their personal record, particularly teenagers. Whether or not we ever see it, we all have a record that follows us from birth and well beyond death. It hovers above us like a vulture shadowing its prey. Make no mistake, it is always there tracking our every move, and I believe this is what young people do not comprehend. As a systems man, I can tell you authoritatively, the government, the medical community, the financial community, and law enforcement have been collecting and maintaining data on us the moment we first entered a doctor’s office (be it in the womb or in person), opened a bank account or credit card, received a social security card, went to school, or received a ticket for jaywalking. Understand this though, there is no single record on any one of us as the data is physically maintained in several different places. * Education – specifying the schools we attended, when we attended, the grades we earned, and if we graduated or failed. Employers pay particular attention to such data. * Medical – specifies doctor and dentist visits, diseases contracted, procedures, medications, and treatments. Again, employers are interested in such data, particularly in sports and the military. 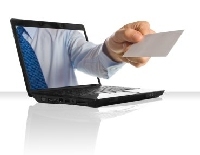 * Credit – for every financial account you open, your debt is closely followed as well as how well you paid your bills. Any time you miss a payment on a credit card, house payment, or car loan, it is recorded and influences your credit rating, not just now, but for years afterwards. * Criminal – there is a tendency by young people to misunderstand their criminal record. Even as a juvenile, any and all violations of the law are recorded for years and years. Once again, employers are interested in such data, as well as the military and just about everyone else. Laugh as you may at being arrested in 8th grade, such a snafu may prohibit you from getting the job or opportunity of your dreams later on. Unfortunately, it is not until we get a little older and wiser do we comprehend the necessity for maintaining a clean record, and usually too late to change it. Some things cannot be changed such as grades. If you try to falsify your academic record, it will inevitably be discovered and your reputation will be ruined, and in all likelihood you will face a serious misdemeanor (thereby updating your record again). It is also next to impossible to alter your medical and credit records, they are what they are. In some instances, criminal records can be modified depending on the infraction. For example, certain misdemeanors can be esponged from a person’s record by the court providing the person agrees to certain terms, such as performing community service or attending special classes. Nonetheless, it is better not to get an infraction than to try and have it esponged. It’s actually a little scary how much data there is on all of us, and we hope it is all safe and secure from public consumption. The point is, whether we like it or not, all of our actions are being recorded, and being a juvenile doesn’t mean you are exempt or have an excuse. Just remember, no matter how hard you try, you cannot outrun your record. NEXT UP: MANAGING COMPLEXITY – It’s really not difficult as long as we use a little common sense. LAST TIME: THE SECRET OF HAPPINESS (a short story) – Can it be expressed as a calculation? – Can it be expressed as a calculation? It had been three years since Joshua Steivenson’s father passed away, yet the son was still cleaning out his father’s belongings. The old wooden house in Buffalo, New York was built in the 1930’s. Years ago, the cellar included an ancient coal furnace and chute, typical for the time. His father, Millard, converted it to a gas furnace a few decades ago in order to develop a clean and quiet place to study. His mother, who still maintained the house, encouraged Joshua to clean up his father’s belongings as she did not want to deal with it anymore. Everything in the cellar was tidy, which is uncharacteristic of a mathematician, but his voluminous books and notes filled shelf after shelf. Joshua had cleaned up the attic and his father’s closets upstairs, but it was now the cellar’s turn for attention. He had looked forward to pouring through his father’s notes, as he remembered the amount of effort and detail the elder devoted to them. Millard Steivenson was a well known mathematician who had worked at the old Westinghouse plant years ago. His calculations were primarily used in manufacturing and design, earning him accolades not just from his employer, but with other mathematicians through his research papers. Joshua had followed in his father’s footsteps by also becoming a mathematician. As he grew up, father and son spent numerous hours arguing over formulas and equations; it was tremendous mental gymnastics, something both enjoyed immensely. Now that his father was gone, Joshua was eager to look through the elder’s body of work. Millard’s notes were maintained in meticulous chronological order, in three ring binders, representing over sixty years worth of logic. This made it particularly interesting to study and watch his father’s work evolve over time. A lot of it consisted of simple formulas for use in product design, but now and then, he would try to explain concepts in physics which were often submitted to a mathematics union where papers were printed in journals and arguments presented, both pro and con. The father’s work was frequently featured in these journals. Day after day, Joshua absorbed the journals, often going late into the evening. He remembered some of his father’s early work, but most of the pages included unfamiliar formulas and algorithms. Analyzing each computation, Joshua began to understand his expressions without having to review the accompanying notes. It all made sense to him. Then, in a binder from December 1965 he happened upon a section marked, “The Secret of Happiness,” consisting of a rather lengthy equation describing in mathematical terms how a person can discover his own personal happiness. 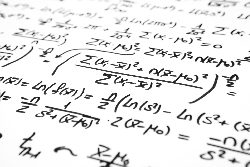 This piqued Joshua’s interest as he didn’t recall his father discussing this concept and thought it a rather odd subject for a mathematician to pursue. Joshua poured through the extensive formula carefully. At the heart of his father’s argument was the identification of a person’s purpose in life, both personal and professional, plus the motivation to achieve them, thus resulting in joy through fulfillment. By doing so, a person could elevate their personal self esteem through their chosen vocation and find happiness. Also included was mathematical language describing how to overcome adversity, to teach morality by discerning right from wrong, and the necessity to subdue passions, such as anger, greed and lust. It was all rather extensive. Basically, the formula was intended to unlock a person’s inner self. More importantly, Joshua couldn’t find anything wrong in the logic. It appeared everything was properly defined and interconnected. The son was rather impressed and began to quietly chuckle knowing of no other attempt to write such a formula. However, why had his father kept it a secret for so many years? Following the formula, there were several accompanying notes, including reviews of the work. Years ago, his father had submitted a paper regarding the formula to the mathematics union. However, it was rejected out of hand with some rather sharp critiques with the contention, “You cannot synthesize human emotion.” Joshua was surprised by the open rebuff, particularly after analyzing the formula carefully. The critics even went so far as to publicly ridicule him, which may explain why his father stopped working on it. As Joshua read through the criticisms, he became angry as it became rather obvious few of the respondents had actually read the formula. The last note written by his father on the subject was a short footnote which appeared to be added many years afterwards; it simply read, “Joshua, when you are ready,” and was circled in red ink. This surprised Joshua who interpreted it as a request from his father to pursue the formula again. Joshua was surprised the formula was dismissed out of hand so quickly. Perhaps too quickly. Obviously they didn’t study it in detail as the logic was flawless. He was particularly perturbed by their skepticism. The refutation did not deter Joshua. As he was also well versed in computer programming, he decided to write an “app” for the formula suitable to be used in smart phones, tablets and computers. He expended considerable time coding the formula into the program. Special touch screen technology was added to simplify the use of the program. To do so, a person would simply need to press and hold his/her finger on the app logo whereby a screen was displayed showing the person’s hidden desires. This was done by accessing the person’s central nervous system through the finger where the logical and emotional spheres of the brain were read and scrutinized. The analysis judged the person’s intellectual and emotional stability, frustrations, along with wants and desires. From this, it would visually display the person’s preferences for happiness and offered viable alternatives for achieving them. Basically, it was offering a blueprint for the person’s next stage in life. Joshua tested the program thoroughly on himself and was surprised to discover he should be making adjustments in his own life; suggestions he immediately understood and embraced. After making the last few technical adjustments, he uploaded the app to the various Internet app stores for free public download under the name, “The Secret of Happiness.” After he uploaded it, he called it a night and went to bed. The next morning, he checked on the app counter and found 325 people had downloaded it overnight and more were continuing to do so before his eyes. When checking his e-mail queue, he discovered several messages praising him for the app and how it already was changing people’s lives for the better. Day after day, Joshua watched as hundreds of people downloaded the app, then thousands, then tens of thousands, there was no stopping it as it went viral in the first week. News reporters took notice and began contacting Joshua for interviews. Many had used it themselves and became fans well before they asked their first question. This resulted in an avalanche of publicity and “The Secret of Happiness” became the darling of the press. The requests for interviews and correspondence overwhelmed Joshua, so much so, he started to shy away from reading his email. Then one day, a letter arrived in the mail from the mathematics union requesting a personal interview with Joshua regarding the formula. This surprised him after receiving the terse letter earlier. The tone of the letter was less antagonistic, so he agreed to meet with the union. Joshua appeared in the union’s offices at the arranged time, dressed in suit and tie. As he waited to be announced, he looked around the office. The building was massive and very well equipped and decorated. It appeared the union didn’t suffer financially, but he wondered how it was paid for; this certainly couldn’t be based on just equations and formulas. A receptionist led him into an opulent board room with a beautiful table, chairs, and state-of-the-art multimedia screens on the walls. Several officials greeted him, seven in all, and asked him to take a seat. All were much older than Joshua and were dressed as authoritative figures. Their demeanor was serious, giving Joshua the uneasy feeling this was going to be more of an inquisition than a casual interview. Joshua rose from his chair and turned to exit. Before he could leave though, the Chairman said strongly, “Young man, you have no idea who you are dealing with; no idea whatsoever. You better be careful.” Joshua didn’t like the sabre rattling but chalked it up to old men in their dotage, and he departed. Following the meeting, Joshua returned home and to an adoring public who thanked him many times over for helping them rebuild their lives and pointing them in the right direction. The app was so infectious, the mood of the country began to change. A wild spirit of entrepreneurship and prosperity blanketed the nation consisting of new companies offering new products and services, all built or delivered with a high sense of craftsmanship. Consequently, the Gross Domestic Product began to rise, money was generated for the people and taxes; so much so, the federal debt was arrested and actually began to retreat. People no longer resisted going to work, but openly welcomed it instead. Grades in schools substantially improved, and education was made meaningful again. Crime rates declined radically, as did unemployment, and spending on welfare. America awoke from the doldrums to once again become a leader in industry. The rest of the world started reporting similar successes as well. Then, one day, a computer virus was quietly introduced to the world over the Internet, some claimed it originated from China but nobody knew for sure. It was designed to seek out and destroy Joshua’s “Happiness” app and the virus circled the globe like wild fire deleting it from all machines. In just five short days, it had completely eradicated the app, including Joshua’s machine containing the source code for the program. It was gone, all gone, and the public’s attitudes began to shift back to complacency as before the app was introduced. Joshua could not understand who or why anyone would want to destroy the app. He began to investigate the virus by capturing and dissecting the code embedded within it. Inside he found some interesting clues consisting of mathematical formulas and expressions leading him to believe he had been sabotaged by the mathematics union. Infuriated, he rushed to the union building and demanded an audience with the Chairman, and surprisingly, it was granted. Although he felt his blood boil, he stopped to take a breath and regain his composure before entering the Chairman’s office. He desperately did not want to express panic under pressure and maintain a cool demeanor. “And I suppose you are going to claim ignorance on the matter?” Joshua asked. Joshua slouched in his chair. He realized he was defeated. To pursue his dream meant doing combat with the governments of the world, very much a losing proposition. Days after his meeting, Joshua returned to his father’s cellar and organized his notes in another three-ring binder. Included was a printed copy of the app’s source code which Joshua had printed prior to his computer being attacked, along with schematics and other documentation explaining the program’s logic. Before closing the binder for the last time, he took out a red pen and wrote on the last page, “For my son, when you are ready.” He then swept the cellar, made sure it was as tidy as his father had kept it, and turned off the lights. NOTE: This is a work of fiction. Any similarity between the characters in this story and any real person, living or dead, is not intentional and purely coincidental. 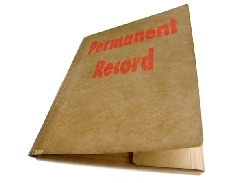 NEXT UP: OUR PERMANENT RECORD – You can run, but you cannot hide from it. LAST TIME: THE DANGERS OF MAKING A REFERRAL – Be careful what you say. – Be careful what you say. Years ago it was commonplace to give job referrals for employees or professional acquaintances. For example, 30 years ago when we moved from Cincinnati to Tampa, for those employees who elected to stay behind and not make the move, we openly helped them locate new jobs. We had several contacts in the systems industry and were able to help our people find work. This was not unusual at the time, but I’m afraid you do not see such practices anymore, nor do I recommend giving such referrals anymore as this has become a potentially litigious problem. For example, if you give a positive endorsement, and the worker doesn’t perform to the satisfaction of the new employer, the company may elect to sue you for misrepresenting the worker. On the other hand, if you give a negative endorsement, the individual in question may sue you over defamation of character. In other words, it’s a “lose-lose” proposition no matter what you do. 1. Employment verification – the specific job held by the person and the dates of their employment. 2. Verifying the person’s title or position. 3. Is the person eligible to be rehired? (Yes/No). Do not elaborate beyond this. Do not articulate any opinion. Just stick to the facts. If pressed for additional detail, say, “I’m sorry but it is not our company’s policy to divulge any other background information on employees.” Nor should you provide anything in writing. Believe me, the person making the request, usually someone from Human Resources, will know the drill and will be surprised if you deviate from the script. The only exception might be if the company signs a waiver to hold you harmless from any comments you make. Even then I would think twice about volunteering anything. Regrettably, such a position on referrals makes it difficult for an employer to know what they are getting in terms of a worker’s true skills and character. This forces the employer to depend upon the candidate’s resume and interview, with no way of substantiating the candidate’s claims. Then there is the matter of making referrals on the Internet, which is popular among employment services and social networking services such as LinkedIn. These facilities provide the means to make recommendations, but again, you should exercise caution for the same reasons mentioned above. Just because it is on the Internet doesn’t mean you are somehow protected from litigation. Again, companies have formal policies for making referrals. The biggest difference in this regard between now and thirty years ago is that although you may be better protected from law suits, companies are more inclined to buy a “pig in a polk,” thereby complicating the process of finding the right person for the right job. NEXT UP: THE SECRET OF HAPPINESS (a short story) – Can it be expressed as a calculation? LAST TIME: WHY OLDSTERS ARE MEAN – And, No, we’re not like this all the time. – And, No, we’re not like this all the time. There is a general stereotype of senior citizens in this country whereby they are commonly described as either mean, cantankerous, grumpy, crotchety, irritable, impatient, sour, aloof or acerbic. There are reasons for this, most of which are caused by changing physical conditions. Allow me to explain. As youngsters, it wasn’t uncommon for us to run around and bump into things, thereby causing a cut or scrape, but as we get older we seem to develop a magnetic attraction for bumping into things or stubbing our toes, resulting in a massive bruise the size of Peru. This is probably due to the blood thinners doctors prescribe to prevent strokes and heart attacks. We also tend to suffer from a litany of body aches in our muscles and skeleton. It is not uncommon for lower back pain to develop or arthritis to take its toll on us, causing us to make an Advil milkshake after working in the yard. Want to really scare a senior? Just sneak up behind them and shout, “Shingles!” Weight also plays a role in our pains as we find it difficult to shed the pounds like we could in our youth. As a standard rule, if you cannot fit into a seat on an airplane, maybe its time to cut out the country fried steak and gravy. While we’re on it, isn’t it amazing the plethora of pills doctors prescribe for seniors? Some people are required to take handfuls of pills just to make it through the day. After a while you start to think of yourself as a walking chemistry experiment. No, seniors do not want to do as the drug commercial’s suggest and, “Ask your doctor.” I am particularly fascinated how elders have embraced “sexual enhancement” drugs like Viagra and Cialis. Prior to their introduction, I never realized there was even a problem. I guess you would be mean too if you couldn’t “perform,” not to mention the feelings of your female partner. It is not uncommon to develop hearing problems, due in large part to the head-banging loud music we listened to in our youth (thanks Led Zeppelin). We then start to wear hearing aids which we try to cleverly hide behind our hair or under a hat. Without them, we smile a lot, nod our heads, and pretend to know what people are saying around us. In terms of eyesight, we may have had Lasik surgery to overcome cataracts and astigmatism, but we still find it difficult to read small fonts, particularly when working crossword puzzles. Cheater eyeglasses are helpful to avoid squinting, but you always keep a magnifying glass within reach. Hair is important to both sexes. For men, as we start to lose it on our heads, it starts growing where it is not supposed to, such as ears, eyebrows, noses, and, Yes, elsewhere. Women become very concerned with the color of their hair. Some have noticed people treat them differently based on their color. A gray or silver haired woman is treated differently by the public than if they were a blonde, brunette, or redhead. Not surprising, they develop strong attachments to their beauticians. Then there is the matter of peeing. In our younger days, we could sleep through the night regardless of the amount of beer or wine we drank. Not anymore. Now it is common to get up once, twice, even three times at night to relieve ourselves. Of course, it doesn’t help when we continue to get a drink of water or juice in the middle of the night. Some people are gluttons for punishment. Sleep deprivation obviously affects our mood. We begin to notice we are becoming forgetful. Suddenly the names of old friends are hard to remember, as is remembering the titles of books, movies and music. House and car keys seem to mysteriously disappear and are found in unlikely places, such as the bathroom, a sock drawer, refrigerator, between the cracks in a sofa, or even worse, the ignition of a car. It is not uncommon for people to become unglued when they cannot find their keys, their wallet, or their purse. These scams are very disturbing as smooth talking con artists find a way to prey on the innocent. Even when you demand they take you off of their calling list, they do not. Want a fun way to get rid of such parasites? Use a foreign accent; the stranger the better. I like to use a heavy Swedish accent when I talk to such huckleberries. When I get such a call, I put down the phone and start speaking loudly, “Ya Ma, de man on de phone here says ve have a problem with our computer; that it has a bug and is infected, Ya. Jumpin Jiminy what are ve going to do? Ya Ma, you’re a right. Here, you hold the computer and I’ll spray it with de bug juice. Wow, dat was a close one.” By the time I return to the phone, the caller is long gone. Finally, seniors suffer with the anxiety of change. Even the slightest thing seems to set them off, particularly if you alter the time they eat dinner. They believe they have a sense of humor, but do not comprehend the humor, music, fashion or movies of the day, considering all of it vulgar. Technology often pushes them over the edge. It’s a bit disconcerting for them to rely on their three year old grandson to program the television set or show them how to use a smart phone. Keep in mind, as we grow older we become more set in our ways; we know what works and what doesn’t, and any departure from this, large or small, throws us for a loop. 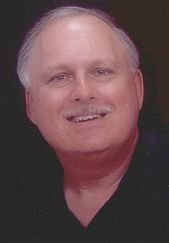 The next time you find a senior is a little mean or cantankerous, you now know what is causing them to act as such. Their only solace is knowing the next generation will have to follow in their footsteps and face the same problems. Misery loves company. NEXT UP: THE DANGERS OF MAKING A REFERRAL – Be careful what you say. LAST TIME: HOLDING A JOB HOSTAGE – How programmers do it, but why does management accept it? – How programmers do it, but why does management accept it? For as long as I can remember, people in the Information Technology business have enjoyed relative immunity from being fired from their job. This is primarily because when they write source code (text which is compiled into electronic format) it is difficult to read and understand the logic behind it. In most cases, if a programmer has written a program featuring a special calculation or feature, employers are afraid to release the person as they fear the logic will walk out the door with the person, making maintenance or modification of the source code almost impossible. This can be easily overcome by developing documentation, both within the program using comments, and externally where the purpose, description, and logic of the program is explained, as well as its interfaces to other programs and file structures. Unfortunately this rarely occurs as programmers stubbornly resist writing documentation in fear someone might read it and criticize their work. By doing so, they have safeguarded their job and now hold it hostage. Think of it this way, it is like an architect being the only person who knows how a building is designed. Who would fire him? After all, there are no blueprints and the design is filed away in the person’s head. Frankly, I do not understand why managers accept this behavior, but they do. Consequently, it becomes difficult to reprimand an employee. Further, it becomes rather expensive to dissect a program and modify it without disrupting the interfaces to everything else linked to it. Another problem is when programmers leave a company they often take code not belonging to them. Regardless if it was written by the programmer or another, most programmers feel entitled to the code so they may use it with their next employer. This is incredibly illegal and could do serious harm to the company, as it is their intellectual property, but it is a common occurrence in business today. What I have described herein is common knowledge inside the Information Technology field. The outside world is generally unaware of this problem. There are other technical positions doing this as well, but it is in programming where it becomes a flagrant problem. Outside consultants also like to play this game and deliver software, but no documentation, thereby creating a dependency on their services. Again, the best way to overcome this problem is to insist on verifiable documentation, but managers either do not understand the problem or naively believe programming is an art form which can only be performed by people who cannot be inhibited by structure or discipline. This is just plain nuts. Under this scenario, the real culprit is the manager for allowing this to happen, not the programmer. I have always believed the best way to make yourself indispensable to a company is by demonstrating a positive attitude and a professional work ethic (e.g., craftsmanship), not to mention delivering on time and within budget. Alas, this appears to be an attitude from a bygone era. 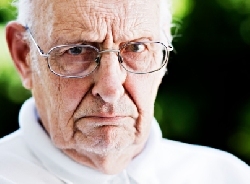 NEXT UP: WHY OLDSTERS ARE MEAN – And, No, we’re not like this all the time. LAST TIME: THE THREE TENETS OF MANAGEMENT – Is there any real management going on anymore? – Today’s high school seniors were just four at the time. There have been a handful of epochal events over the years where someone might ask, “Where were you when this or that happened?” For example, Pearl Harbor, the JFK assassination, the Beatles on Ed Sullivan, Neal Armstrong setting foot on the moon, and the Challenger disaster. Of course, the most recent event to Americans was the 9-11 terrorist attack in 2001. As for me, I was in my office early on that Tuesday morning and my cleaning crew was in taking care of the office. In the reception area, I had a television turned on and tuned to the local news. As I was typing on my computer, one of the cleaning crew came into my office very excited and said, “Tim, come out here and look at this; they’ve attacked the Twin Towers in New York.” I rushed out and watched the north tower burning and listened to newscasters hustling to get on top of the story. Then, after a few minutes, a second plane crashed into the south tower. We couldn’t believe our eyes. This was compounded later by air attacks on the Pentagon in Washington, DC, and another plane crashing in western Pennsylvania. President Bush was visiting an elementary school just south of us in Sarasota where a news crew captured the president’s reaction to news of the disaster. 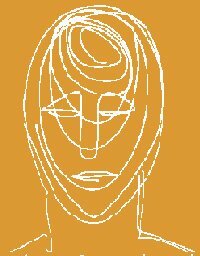 The visit was cut short and he left with a brief statement informing the people present what had occurred and, if memory serves me right, he asked for a moment of silent prayer. This disaster would ultimately define the president’s tenure of office. Conspiracy theorists would later claim the disaster was an “inside job” caused by the administration. I have listened to these stories time and again, and cannot find any validity in them. Nonetheless, on that day, 9-11, 2,996 people perished including the 19 terrorists involved, the greatest single day loss in our history, easily outdistancing Pearl Harbor where 2,403 Americans were killed and 1,178 others wounded. In the New York disaster, the city lost 343 firefighters and paramedics, and 60 law enforcement personnel. Companies in the North Tower lost hundreds of employees each. It was truly a sad day. It has now been 14 years since the attack, and the disaster is already fading from the memories of our young people. Consider this, today’s high school seniors were but four years old at the time and, as such, have no real recollection of the disaster. I may understand them not remembering Pearl Harbor, an event which occurred over 70 years ago, but they should be reminded of the significance of 9-11 and its effect on the 21st century. Although America was mildly aware of Middle East terrorists before, this disaster brought it home to the nation and defined our foreign policy for years to come. Today, just about everyone is familiar with the names of al-Qaeda, Muslim Brotherhood, and ISIS. New words have entered our vocabulary, such as burka, Jihad (Holy war), Fatwas (binding religious edicts), Mosque (Islamic place of worship), suicide bombers, IEDs (Improvised Explosive Devices), caliphate (Islamic government) and are familiar with the sects in the area, Sunnis, Shites, and Kurds. Most Americans now know where Iraq, Iran, Yemen, UAE, Afghanistan, and Pakistan are, and we’ve noticed Muslims immigrating to countries, including the United States, and insisting on Sharia Law. Prior to 9-11, this was all relatively unknown. Now it is a part of our daily lives. 9-11 is an important symbol, not just for remembering the victims of 2001, but a warning for our future. This is why the lessons of 9-11 should be repeated to school children. The very least schools could do is ask the students to stand and have a moment of silence for the victims. 9-11 may be in our past, but what is in store for us in the future? NEXT UP: THE THREE TENETS OF MANAGEMENT – Is there any real management going on anymore? – Our weak economy and GDP. – Unemployment and sending jobs offshore. – Disrespect for law and order. – Our Middle East policies. – An overbearing health care system. – Our general lack of leadership in the world. – Politicians more imbued with self-interests as opposed to their constituents. – The decline of exceptionalism and the liberal agenda to transform America into a third world country. Week after week, the Rasmussen polls tell us we believe the country is headed in the wrong direction. Congressional approval ratings are incredibly low, and the president’s ratings haven’t been above 50% since 2012. Voters are now expected to accept subservience to a bureaucratic government, a redistribution of wealth, to feel guilty about our religious faith, race and sexual orientation, and burdened by oppressive laws and social mores. We now believe we no longer live in the same country we lived in just six short years ago and we’re changing much too fast. It seems what is right is wrong, and what is wrong is right. Our angst has gone well beyond being just irritated or perturbed, but blossomed into full anger. The fact Trump’s campaign, someone not from the political world, rocketed to first place is indicative of the anger and mistrust of our politicians. It’s beyond exasperating, it’s transformative. Unlike the Civil War which contested states rights versus federal, now we are faced with a reformation of the fundamental American way of life, and people do not like it. The voters believe politicians are bought and sold to the highest bidder, and as such, no longer represent the best interests of the people. It should come as no surprise, they feel abused and taken for granted by politicians. Nor do the people truly trust the press who has become the mouthpiece of a political ideologue as opposed to an independent, unbiased source of information. They too are bought and sold to the highest bidder. Americans are now at a boiling point. The political pundits and press are well aware of this wrath, but choose to do nothing as it makes for great ratings. In the movie, the producers of the show are surprised when they discover the public responds by doing just as Beale requests. If a newscaster today asked people to do the same thing, I am confident people would respond with the same vocal frustration as expressed in the movie. 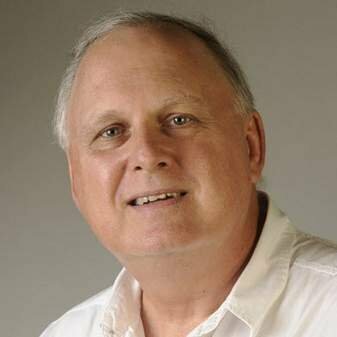 It would be an interesting experiment to schedule a specific date and time where the nation would be asked to yell out their window, “I’m as mad as Hell and I’m not going to take this anymore.” The press, of course, wouldn’t promote this concept as they prefer their control over the people thereby making them impotent. They know full well that an aroused public is more inclined to become active and vote thereby presenting a genuine threat to the status quo. 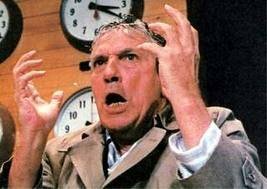 Let’s hope we find a new Howard Beale well before the next election. NEXT UP: 9-11 REMEMBERED – Today’s high school seniors were just four at the time. LAST TIME: EDUCATION AS A WEAPON – It’s a powerful weapon for making the country a better place to live.